Closing costs can often be a tricky thing to explain because there is no such thing as fixed closing costs. Each real estate transaction can have vastly different closing cost expenses depending on the house and the financial situations of the parties involved. 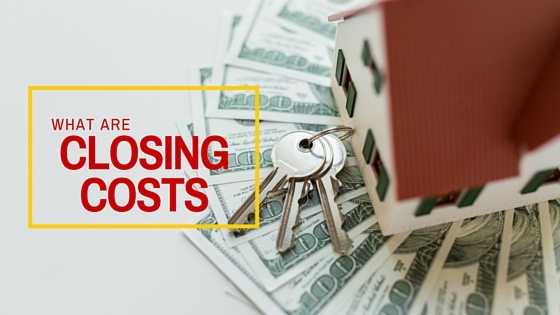 While you can estimate in the beginning how much on average your closing costs will be, you won’t have a finalized answer until you are in the closing process. Lenders can charge certain fees for giving you a mortgage. Every lender won’t charge every fee, but they can add up. In addition to lender’s fees, there are other closing costs including the title fees, recording fees, city and state transfer taxes, and more. The lion’s share of the buyer’s closing cost are generated by the mortgage. The lender’s points (a point equals 1% of the loan amount) which are also referred to as the service charge are the largest fees paid to the lender and typically run between 1% and 3% of the loan amount. Sometimes the points can be higher, and there are loan products with no points. Here’s the cool thing about paying more points up front. For every point you pay upfront, the lender will decrease the interest rate of the loan. If you have the cash, and are planning to stay in the home a long time, you might want to pay 3 points to get the lowest interest rate possible. The points are deductible on your income tax return in the year you purchase the house. You also have the option of paying zero points and having a slightly higher interest rate. This is a good option if you’re strapped for cash today but know down the line your prospects are for a higher income. Eventually you may be able to refinance at a lower interest rate. Using a local lender may make this process much smoother because your loan officer can sit down with you and your REALTOR® and help you make the best financial decision over all.